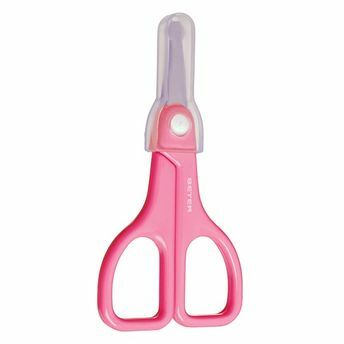 Baby scissors that are guaranteed to give you a safe cutting experience, These scissors are ergonomically designed and are ideal for your manicure and pedicure sessions. This scissor includes a safe plastic sheath that promises safety as well as hygiene. It has a plastic handle. Safe to be used on babies for cutting their delicate nails.